What a great summer we had! Created fabulous summer memories with great friends that will last us a lifetime. Visited and discovered wonderful new places. After a long and perfect summer, back to school is upon us. With that said, we are back and back into our routine. The kitchen is waiting for us to be filled with laughter, conversations, homework and home dinners. I am really looking forward to it. I would like to share a few recipes that we have enjoyed over the summer. 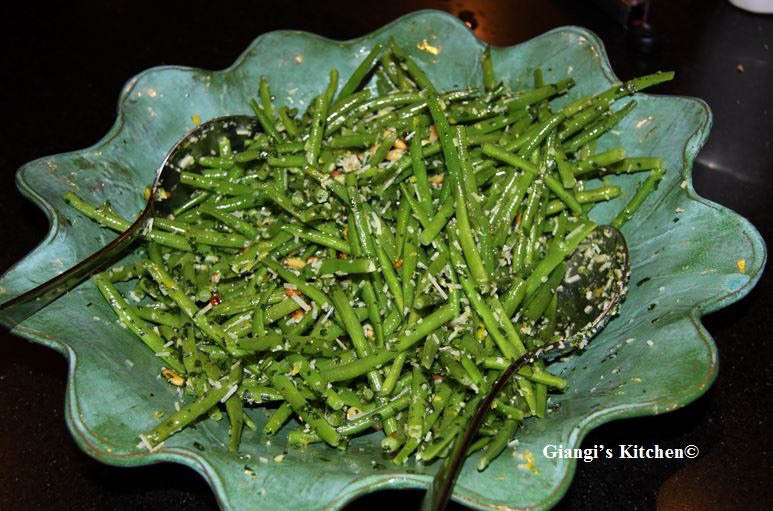 This great summer salad: Green Beans Gremolata, was introduced to us by some wonderful foodies friends. Delicious is all I can say. I found the recipe on line at food.com and could not wait to prepare it. Simple, healthy and absolute wonderful served hot or cold. Perfect side dish to any meats, chicken and fish. A must try. Making this right now, my friend! Thanks for the inspiration.